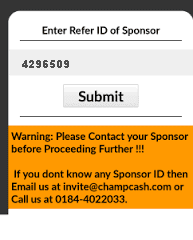 Champcash is the latest app for android users to earn some extra bucks. Its like a MLM (Multi Level Marketting) scheme, in which you make new members by sending them the link of Champcash app. There is no fee to join this programme, instead you have to install some apps suggested by Champcash to be eligible for earning. Is Champcash a Fraud ? I was also concerned about this thing when I first heard about Champcash. I searched for this issue on internet but got nothing. So I concluded that it is not a fraud. How does Champcash earn and provide incentive to its users? Champcash gets money from various companies by getting their apps installed on the android devices of users. Champcash distributes a certain percentage of its earning through this MLM scheme. In this way people participate in it and the apps get installed in millions of android smartphones. A number of MLM schemes are running all over the world (example – Amway). Majority of the MLM schemes make good money for those who join it at an initial stage. So don’t wait and Install Champcash on your Android device now. How can you withdraw the amount from Champcash? There are 2 ways to do so. If it’s a small amount that you want to withdraw then you can recharge any mobile with amount minimum $1. But if it’s a large amount then you can withdraw it using wire transfer of paypal transfer. Mobile recharge is done instantly while the 2nd method takes at least a month to get the balance in your bank account. But such amounts are worth waiting to get in your bank account. 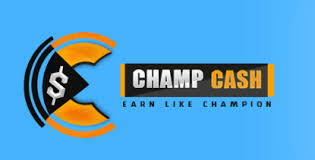 How to install Champcash and be eligible for earning ? Follow the following steps to install Champcash on your Android Smartphone. Now it will give you a challenge to install some apps. "Accept the challenge" . You might need to to install 7 to 10 Apps to complete the challenge. This the the most tough step as it takes more that 100 MB of your mobile data and your time. You have to install these apps and then open them for at least 1 minute. Once you complete the above step you will be eligible for earning. Then you can invite your friends to be a part of this scheme. On every successful joining you get $0.5 to $1.5 depending upon your country. You can earn upto 7 levels of joining. But you commission decreases as the depth of level increases. But still it can earn you few good bucks. Whats the real benefit of joining Champcash ? Your network works for you. You have to work only during the initial stage. Once some good users have joined under you then they will work for you automatically. Their referrals will automatically add commission in your account up to further several levels. There is no limit for direct joining under you. So there is no limit to earning. It turns your mobile phone into an earning machine. Even if it don't make you a millionaire, it can earn you some extra money. Its a good thing for those who work from home and have internet access on their android smartphone. Join Champcash Now and earn unlimited. 5 Responses to "Champcash - A New Way to Earn Good Money"